Dont call me cute. 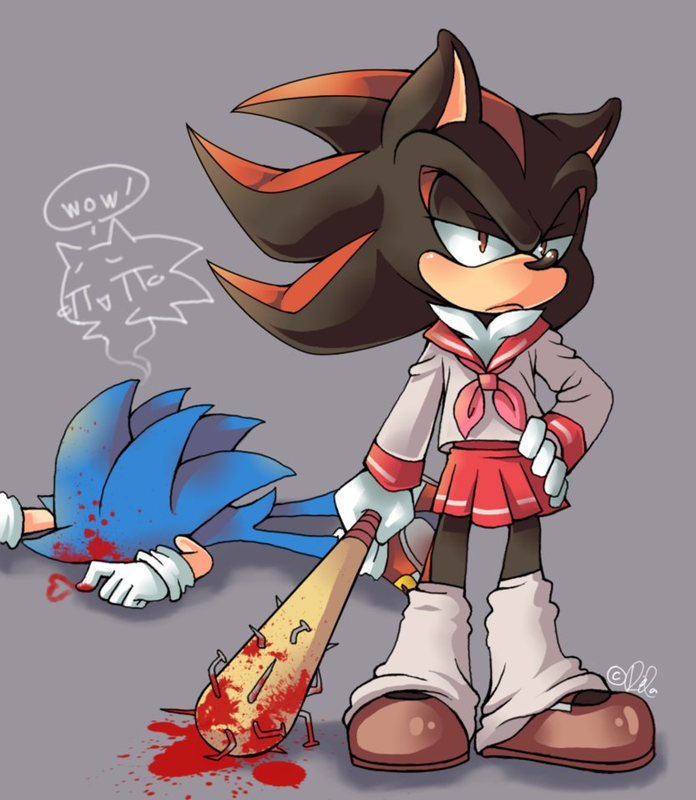 lol shadow in a shool girls outfit. 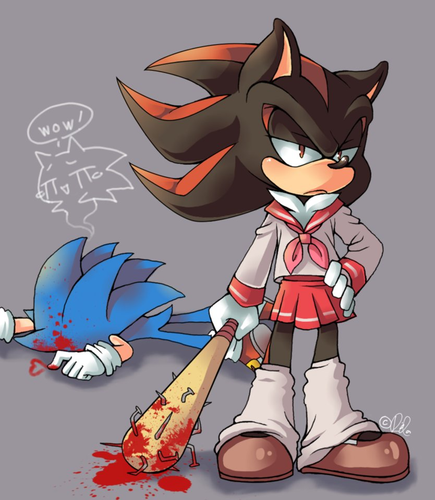 HD Wallpaper and background images in the Sonic the Hedgehog club tagged: sonic shadow lol.